Have you wondered, what it's like to be blind? Have you thought, what it's like in a dark world? Do you want to experience their world of darkness? 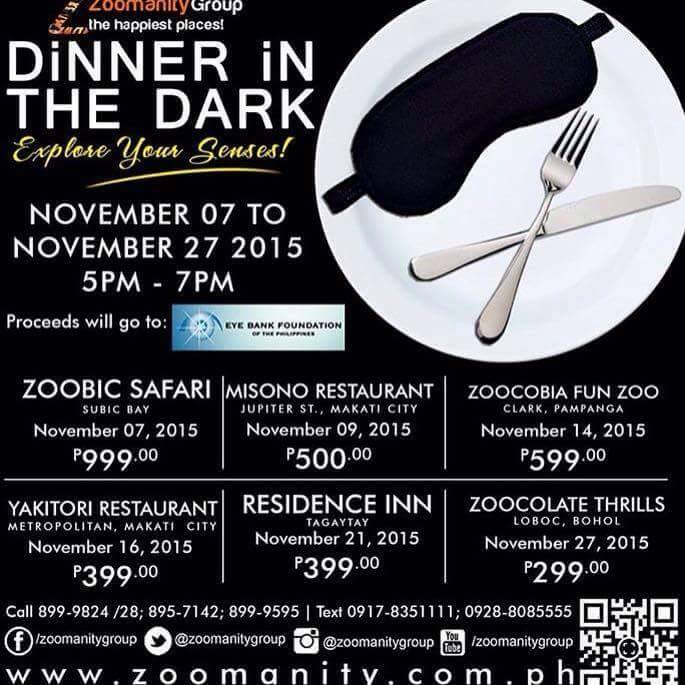 Get a chance to have a special dinner, "Dinner in the Dark", an event presented by Zoomanity Group. The aim is for you to have a unique experience of dining in total darkness and understanding how it is to be blind. This exceptional event creates awareness amongst us. What it's like to lose our sense of sight and appreciate it even more. In this regard, we would like to invite you to a special dinner with the blind on the dates indicated in the poster. Tag Media and Public Relations handle Zoomanity Group for Marketing, Branding, Strategic Planning, Business Development, Events and Promotions.